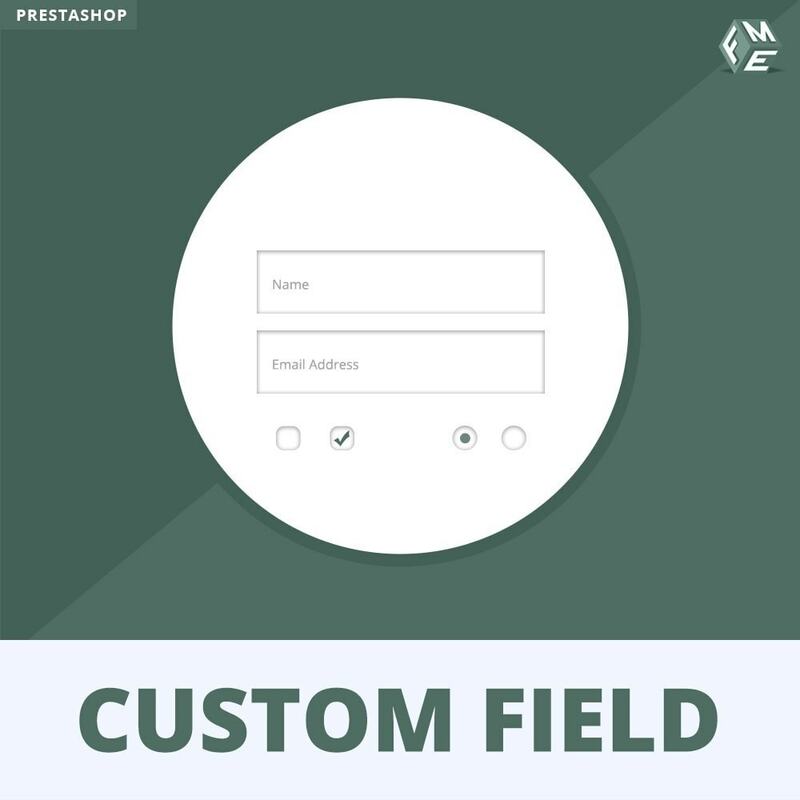 What this Prestashop Custom Fields Module does for you? Show checkout fields only when specific product(s) is added in cart. The store admin can now assign fields to specific products & categories. 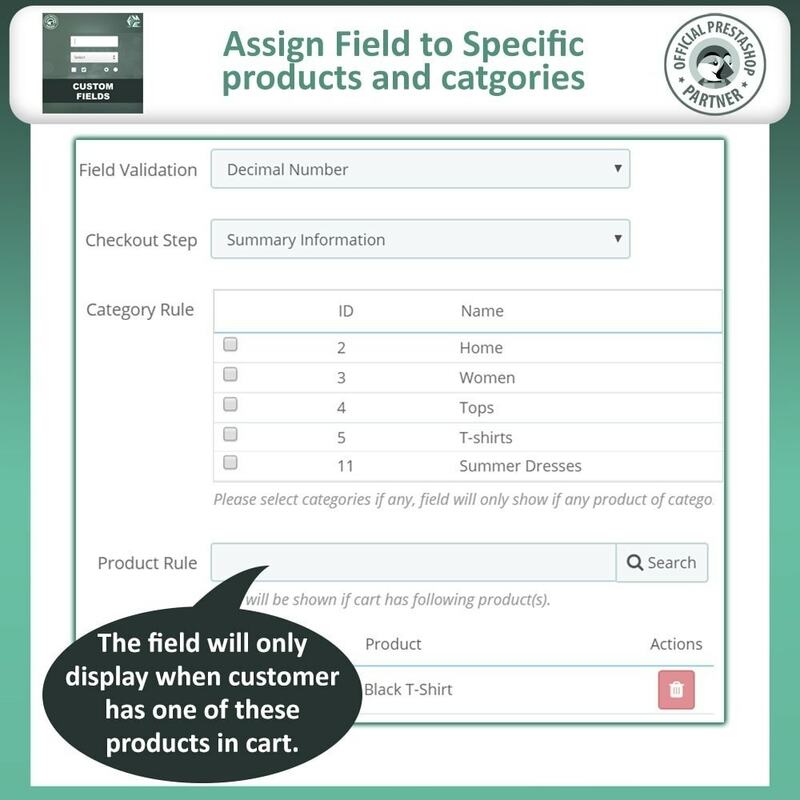 Thus, the fields will be display only when a specific product(s) is added to the cart. 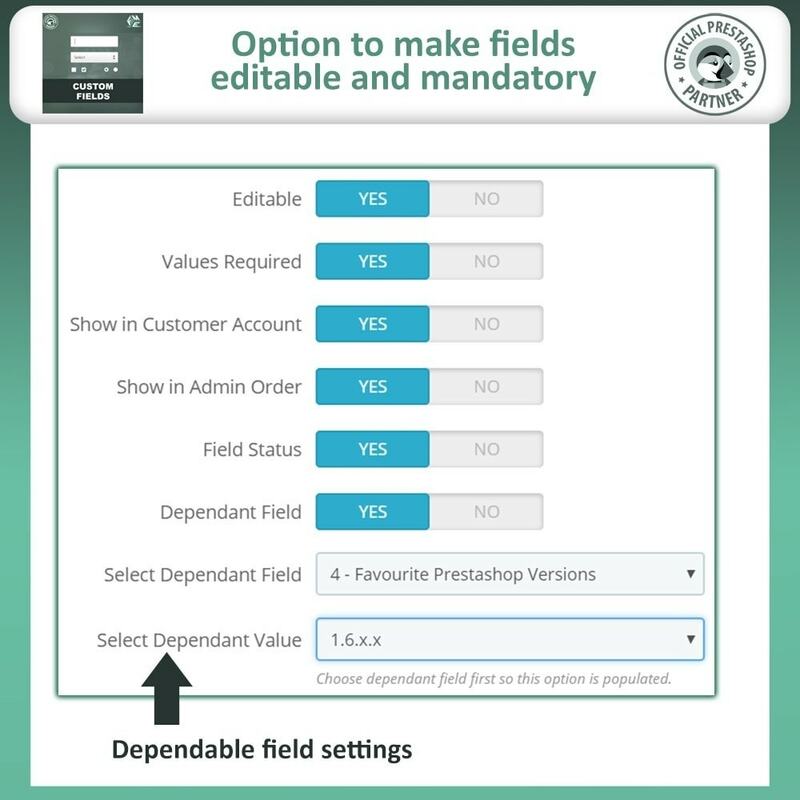 By using the conditional fields option, you can display field only when customer select a specific option. 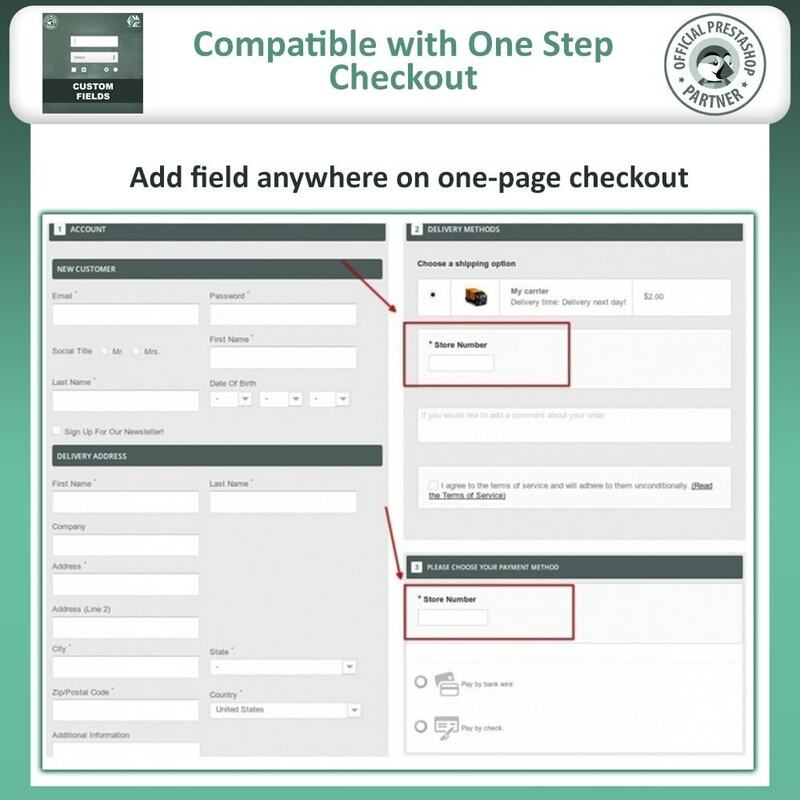 What this PrestaShop checkout fields extension has to offer? Learning from customers means a lot for the survival of your business. You must always adapt to the changing behaviors of the customers. Fashion trends can strike a ruthless blow to a business's revenues. 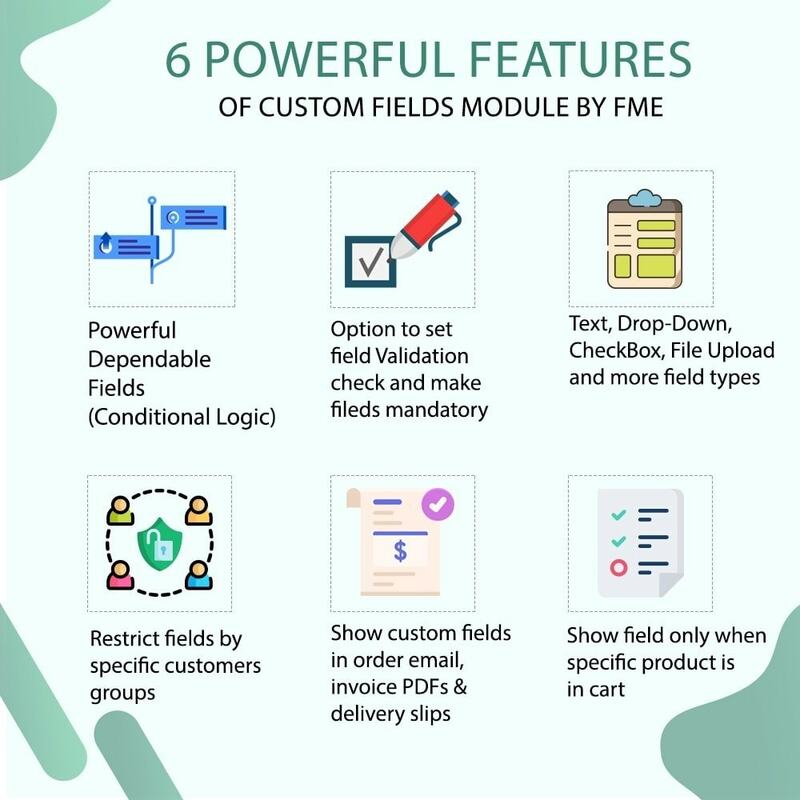 With PrestaShop checkout manager by FME, you can not only find the changing graphs of customer needs but can also display important messages. 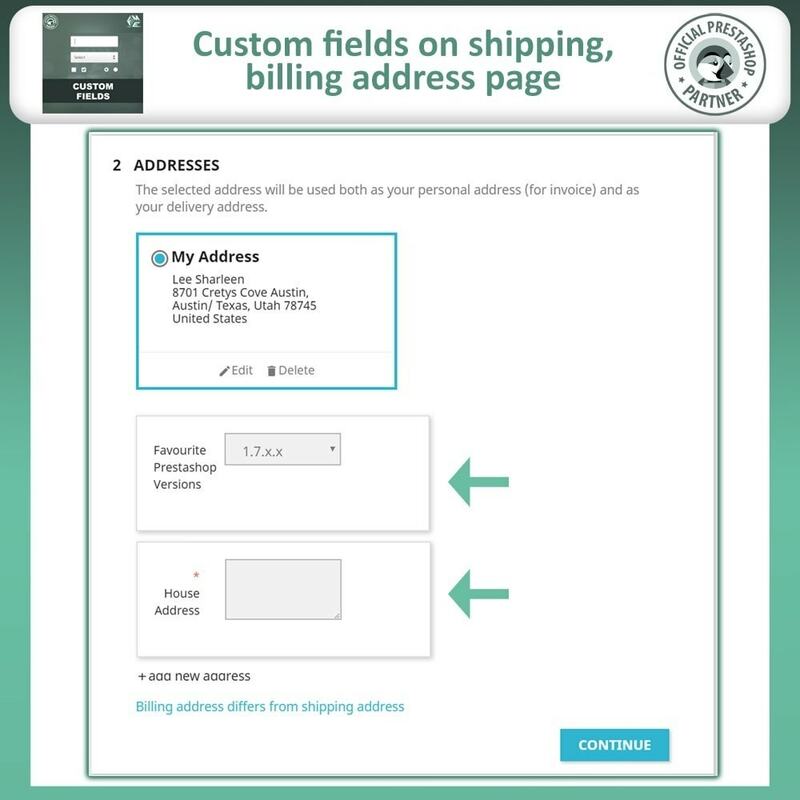 You can also include delivery time options as well. Obtaining additional information from the customers is always for your benefit. 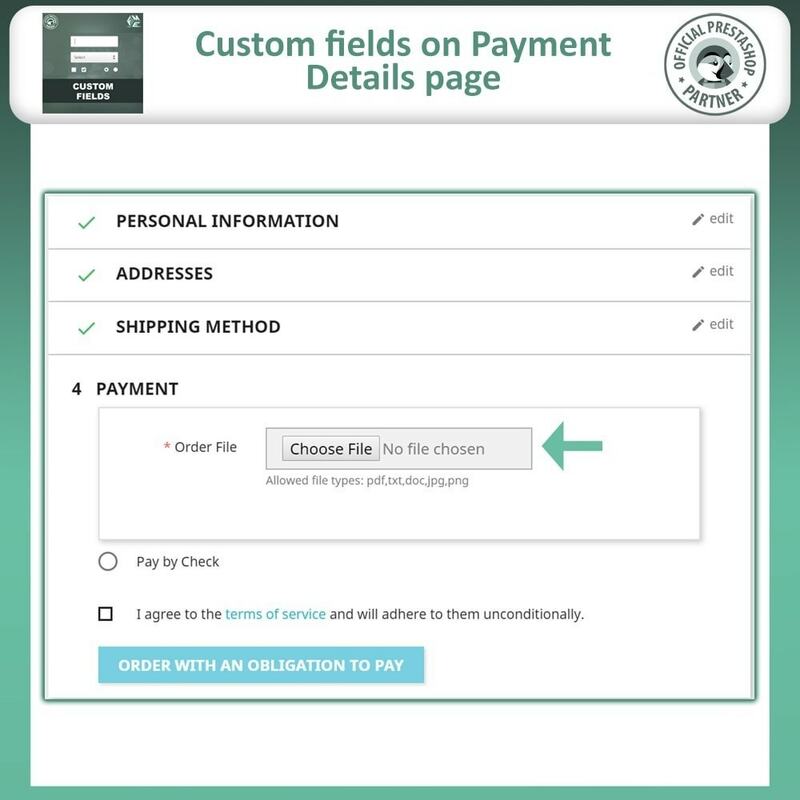 The primary purpose of adding fields to checkout pages is to understand the trends and the behaviors of the customers for creating customer personas. Customer personas help predict the behaviors and their conduct to present better sales pitch and display the exact product which they need. This PrestaShop order attributes plugin also gives you the opportunity to improve your services, marketing strategies, and product quality. 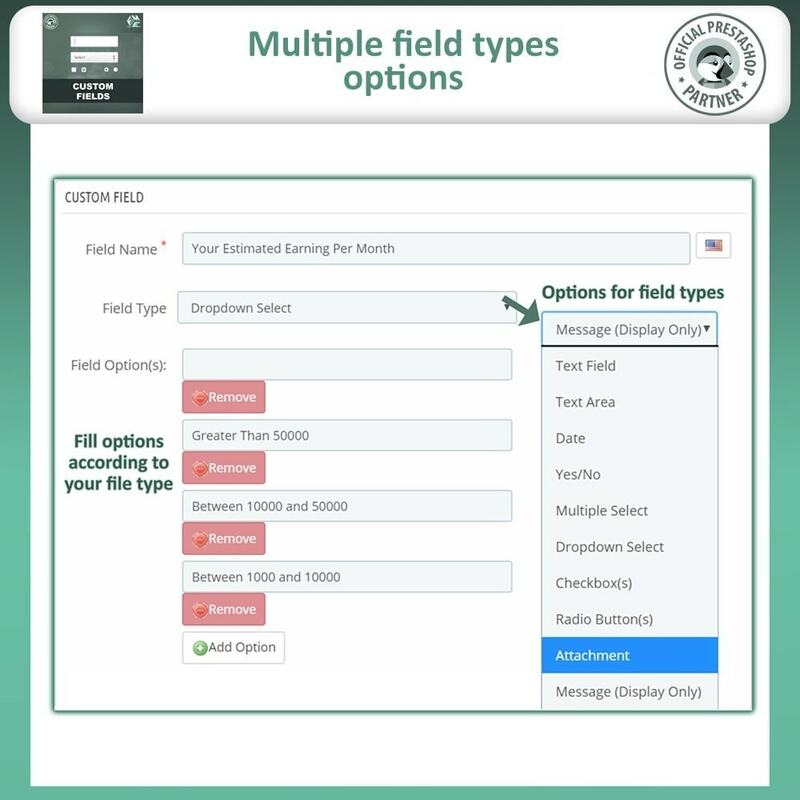 The supported fields include a text field, multi-select, date, text area, Yes/No, radio button, check box, a message only and drop-down. 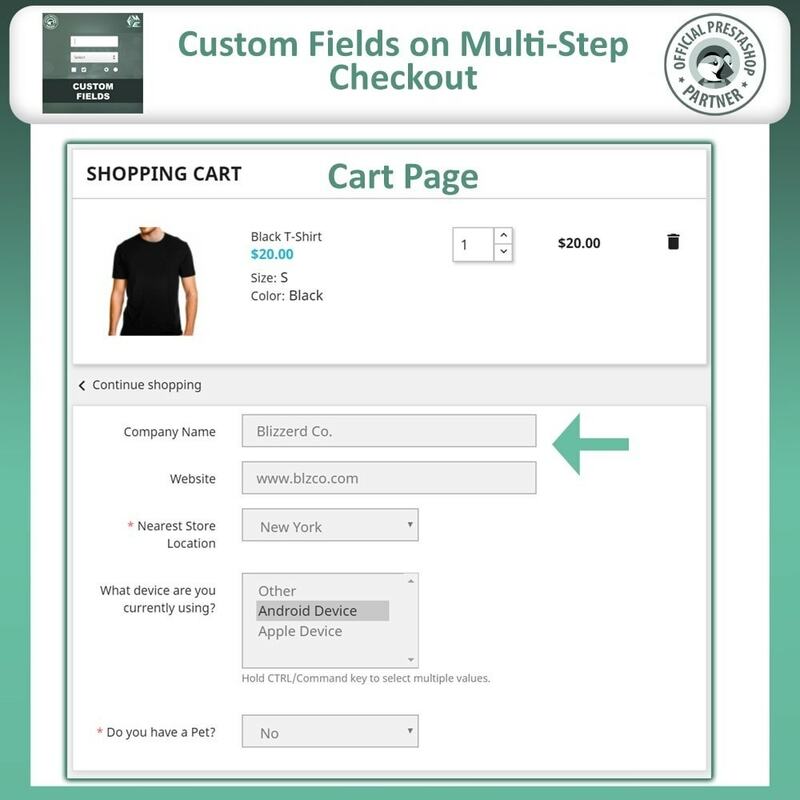 With drop-down menus and Yes/No options, customers can easily provide you additional information you are looking for. 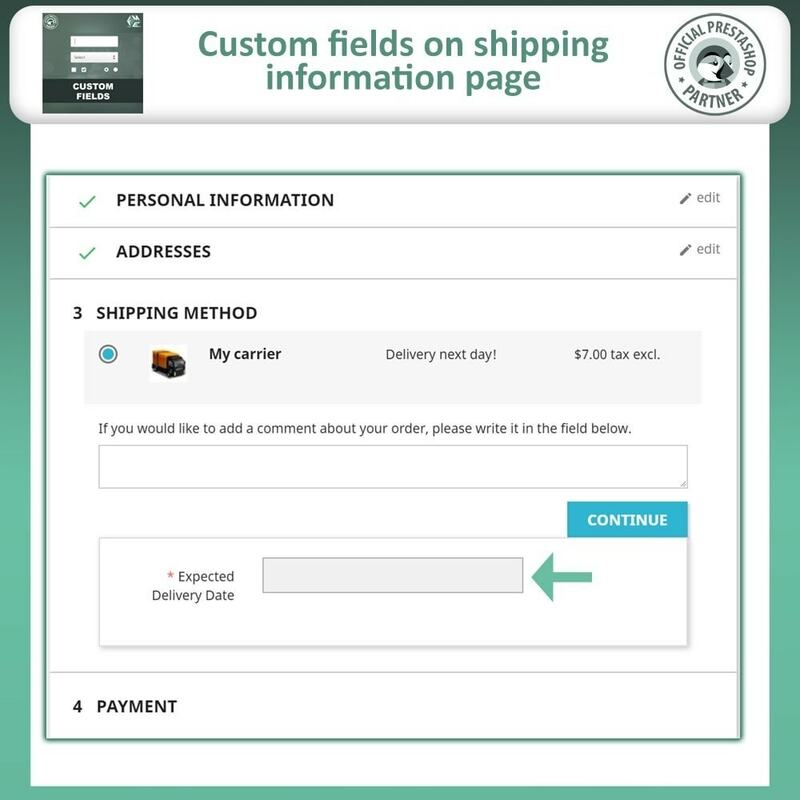 By enabling a text field option, customers can send you a private message while placing an order, so that end products can be molded as per their needs.